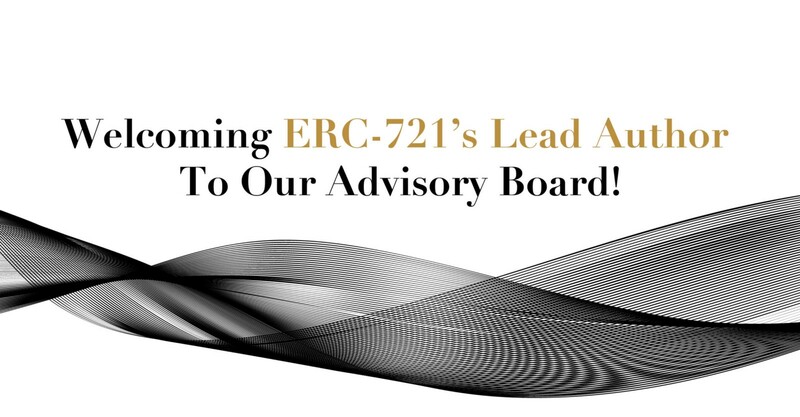 Arianee Appoints ERC-721’s Lead Author to Advisory Board! We are thrilled to welcome ERC-721’s Lead Author, William Entriken, to our team of advisors. In addition, we are excited to announce that last Friday marked the end of a two-week, final review process for the ERC-721 standard, which was successfully confirmed as a new smart contract standard for non-fungible tokens (NFTs). William Entriken, who is the lead author of both the ERC-721 and ERC-165 standards, has officially joined Arianee’s board of advisors! He is deeply intrigued about the potential possibilities that Arianee can bring to the luxury industry through the ERC-721 standard. Bringing with him years of experience in the transportation industry — having organized complex transit systems — as well as first-hand experience in developing blockchain-based solutions, we are more than happy to welcome William’s guidance and expertise on the bright road ahead. This is huge news for us here at Arianee since the ERC-721 standard is fundamental to how we are able to issue unique, non-fungible certificates — allowing users to transfer and authenticate their digital assets on the Ethereum blockchain. To learn more about non-fungibility and how Arianee leverages this protocol, feel free to refer to last month’s post, “From CryptoKitties to Luxury Assets: Non-fungible Tokens are Evolving” or check out our latest feature on Coindesk, “Fur Real? Businesses Test CryptoKitties-Inspired Ethereum Tech” by Ian Allison. Proposed by William Entriken, Dieter Shirley, Jacob Evans and Nastassia Sachs earlier this year, the ERC-721 standard defines a smart contract implementation for the tracking and transferring of non-fungible assets on the Ethereum blockchain. It is heavily inspired by the widely used ERC-20 token standard, which took over two years to become confirmed. Our network leverages the ERC-721 standard to allow brands to generate unique authenticity certificates for each one of their products so that in a sense, each has its very own unique digital identity. Users will be able to securely store their products’ Arianee certificates, along with their associated documentation, such as warranties, on the blockchain. By doing so, users retain complete control over how, when, and by whom this information can be accessed. To read more about how we leverage distributed ledger technology and the recently approved ERC-721 smart contract standard, check out our whitepaper or visit us at arianee.org.